Day 03: Fly to Udaipur: Morning after breakfast you will board a direct flight to Udaipur – the lake city also known as one of the most Romantic cities of India. On arrival, check in at your heritage hotel. Evening enjoy a boat trip over Lake Pichhola during Sunset. Stay overnight at your hotel. Day 04: Udaipur: During the day enjoy a guided sightseeing tour of City Palace, Saheliyon ki Bari, Bharatiya Lok Kala Museum (The interesting collection exhibited by this small museum and foundation for the preservation and promotion of the local folk arts including dresses, turbans, dolls, masks, musical instruments, paintings and its high point puppets) and Shilpgram. Stay overnight in your hotel. Day 06: Jaipur: Morning after breakfast drive towards “the pink city of India- Jaipur”. Enroute visit Fatehpur Sikri, a World Heritage Site- once the capital of Mughal Empire, built by the Emperor Akbar. On arrival, check in at your hotel. 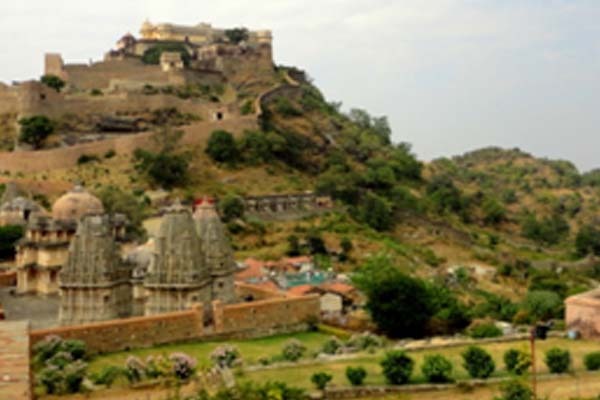 After brief leisure, you may visit to the popular age old markets of Jaipur during the day. Stay overnight at your hotel. Day 07: Jaipur: Morning proceed for the excursion to Amber Fort. 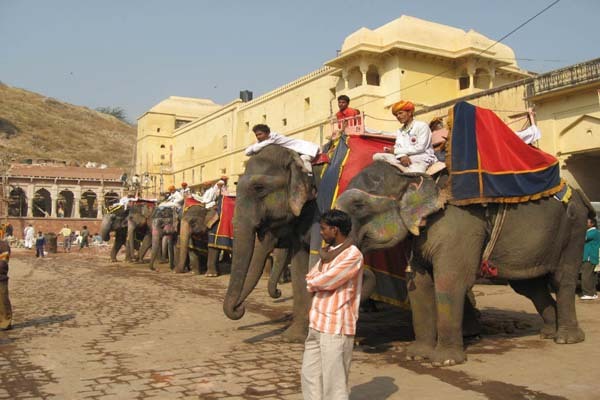 You will be provided an elephant ride to ascend the Fort. If interested; you may have a visit to the ‘Mahout’s (elephant owners) Colony’ to see the baby elephants. Afterwards visit the Maharaja’s City Palace (the home of the erstwhile royal family), Jantar Mantar Astronomical Observatory (a UNESCO world Heritage Site & the scientific marvel of the age) and Hawa Mahal (the Palace of winds). Evening you may have dinner in Swarna Mahal Restaurant at Rambagh Palace. Day 08: Jaipur – Ranthambhore: Post breakfast checkout from your hotel and you will be transferred to Ranthambhore National Park. On arrival, check in at your hotel. After lunch and brief leisure, proceed for an afternoon jungle safari in an open jeep for wildlife viewing. If lucky, you may get a chance to encounter the king of the jungle in his own kingdom. Day 09: Ranthambhore National Park: Morning and afternoon jeep safaris inside the jungle to get the chance to encounter the king of the jungle in his own kingdom. Evening enjoy the campfire and dinner at your resort. Stay overnight at your resort. Day 10: Ranthambhore – Agra: Morning proceed for another jungle safari inside the jungle, escorted by an experienced naturalist. 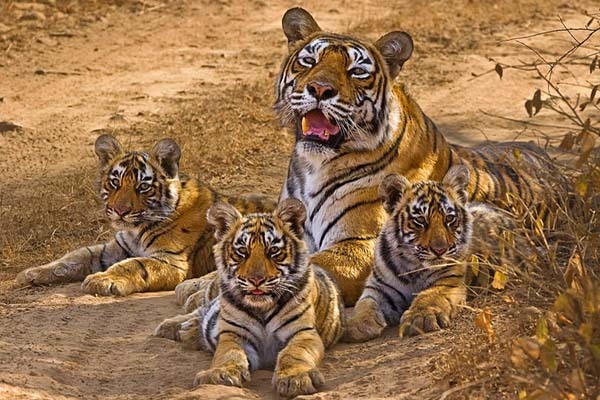 If lucky, you may get a chance to encounter the elusive tiger along with other big mammals in the wild. Later drive straightway to Agra. On arrival, check in at your hotel. Remaining time is at leisure. If interested, you may see the picturesque sunset view of Taj Mahal, which is highly rewarding. Stay overnight at your hotel. Day 11: Agra – Overnight train to Umaria: Morning move to visit the incomparable monument of Love ‘the Taj Mahal’ at sunrise to witness the magical effects caused by the reflections of the changing colours of the rising Sun on this brilliant white marble building. It looks more beautiful at sunrise. 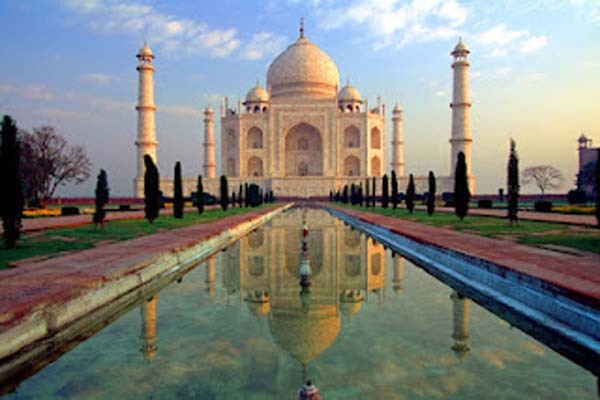 After sightseeing tour of Taj Mahal return back to your hotel for breakfast and brief leisure. 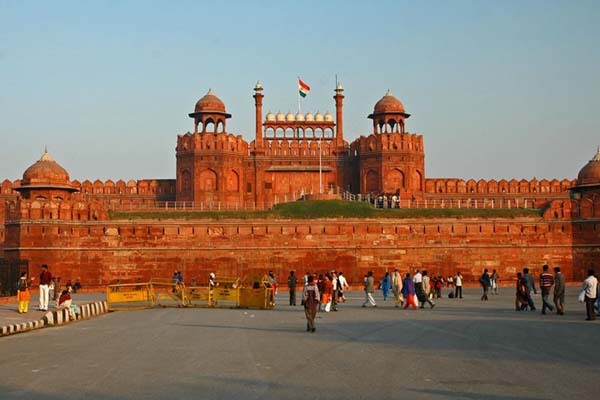 Later checkout and proceed to visit the Agra Fort which is another World Heritage site of India. Later you will be transferred to Agra Cantt. railway station to board an overnight train to Katni. Day 13: Bandhavgarh National Park: Morning and afternoon jeep safaris inside the jungle to get the chance to encounter the king of the jungle in his own kingdom. Day 14: Bandhavgarh National Park: Morning and afternoon jeep safaris inside the jungle to get the chance to encounter the king of the jungle in his own kingdom. Evening enjoy the campfire and dinner at your resort. Stay overnight at your resort.